Aliport Commercial were first contacted in January 2015 about this project. 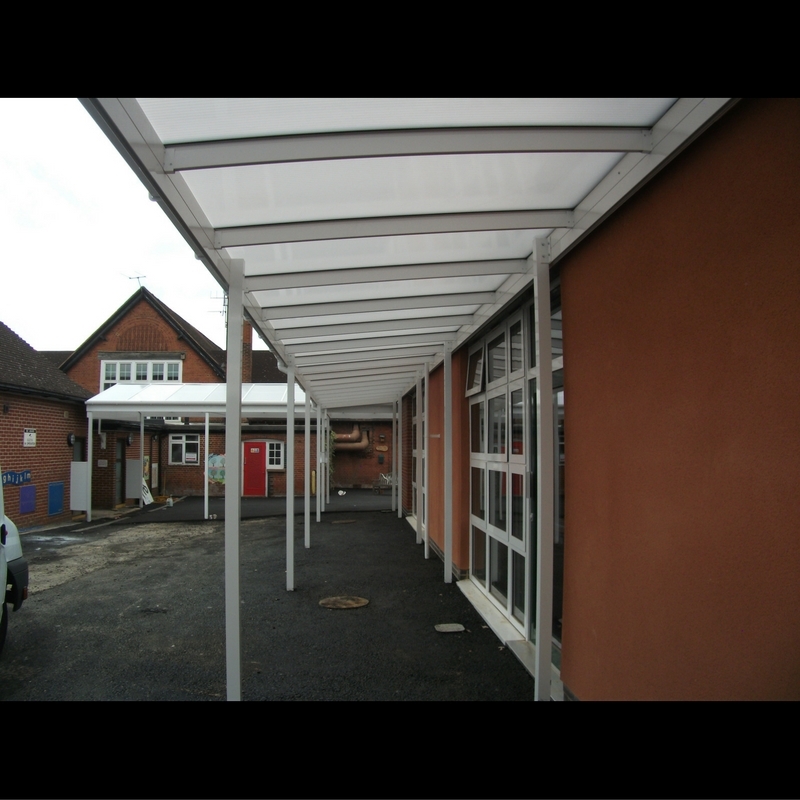 Kings Oak Primary were having an extension constructed in the summer and required a walkway to link the old and new buildings and also several outdoor learning areas constructed. Structures had to be freestanding, independent of the building structure and be water tight. 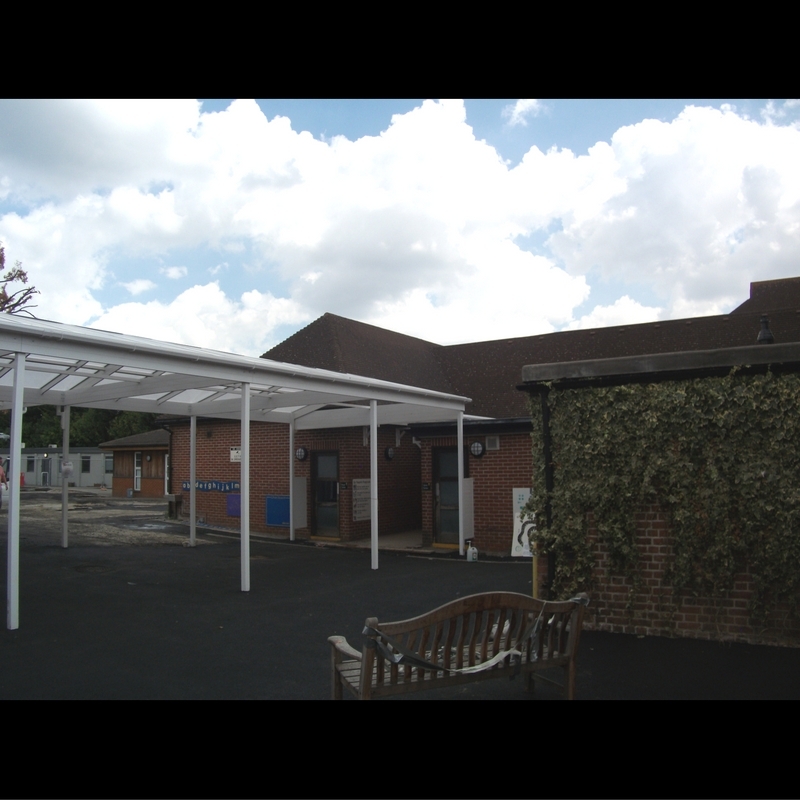 Kings Oak Primary School requested 2 Apex Canopies and 1 x Mono Canopy to be installed with a total footprint of 330m². Aliport Commercial undertook 2 site visits to fully understand the project, measure up and produce the designs for the new canopies to be installed over the summer. 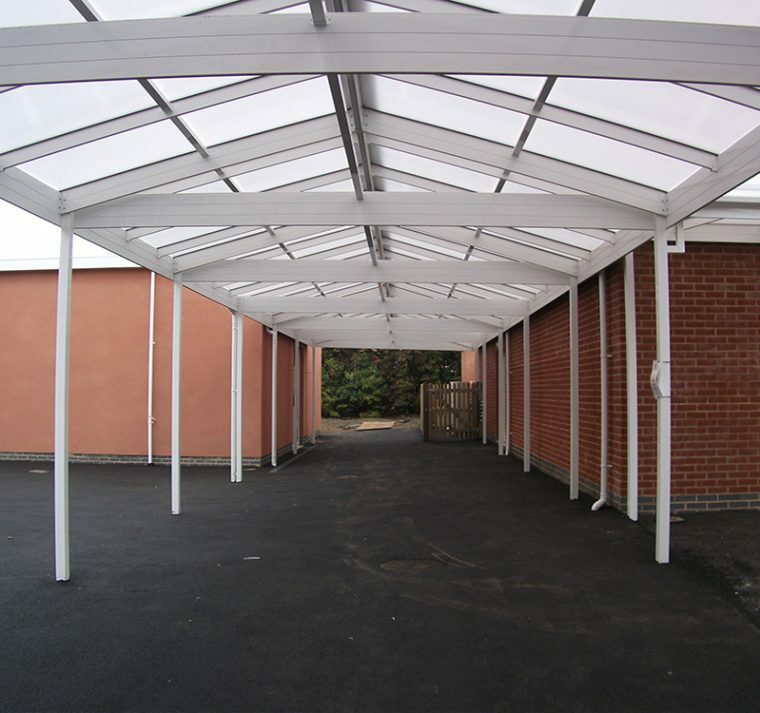 Some of the considerations for these works had to be the scale of the works due to the large expanse of the canopy and also that the site was having other construction works completed in the form of an extension and therefore other contractors would be on site undertaken other works. 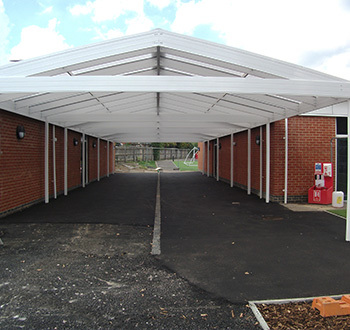 Aliport Commercial commenced works in June 2015 and over a 6 week duration installed all three canopies. They were all powder-coated white as requested by the school. 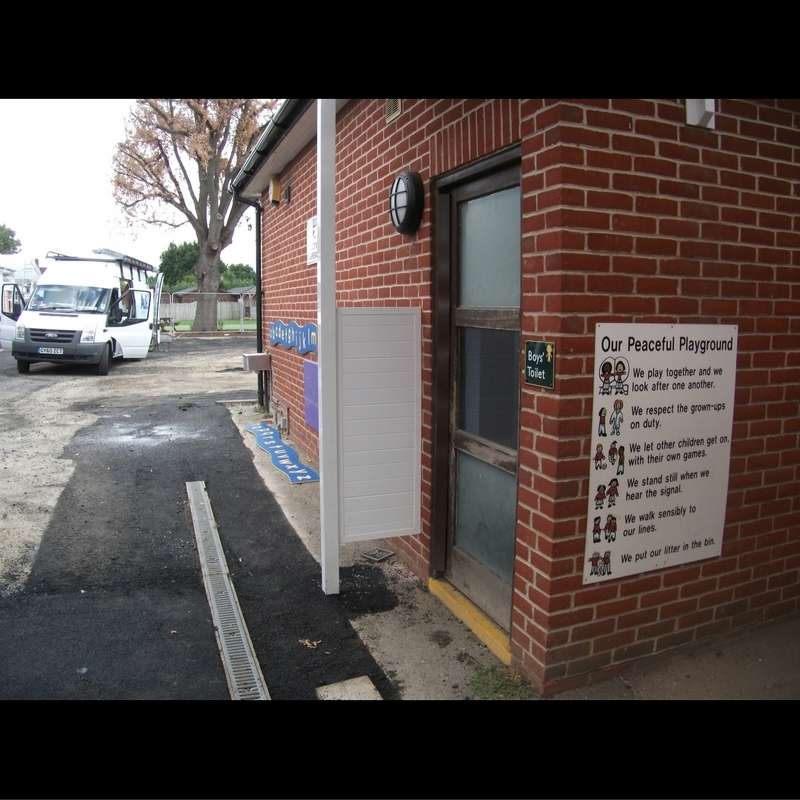 The works were all completed in line with the required time-scale, Carefully planning the sequence of installation with the main contractor to minimise disruption for the sub-contractors. 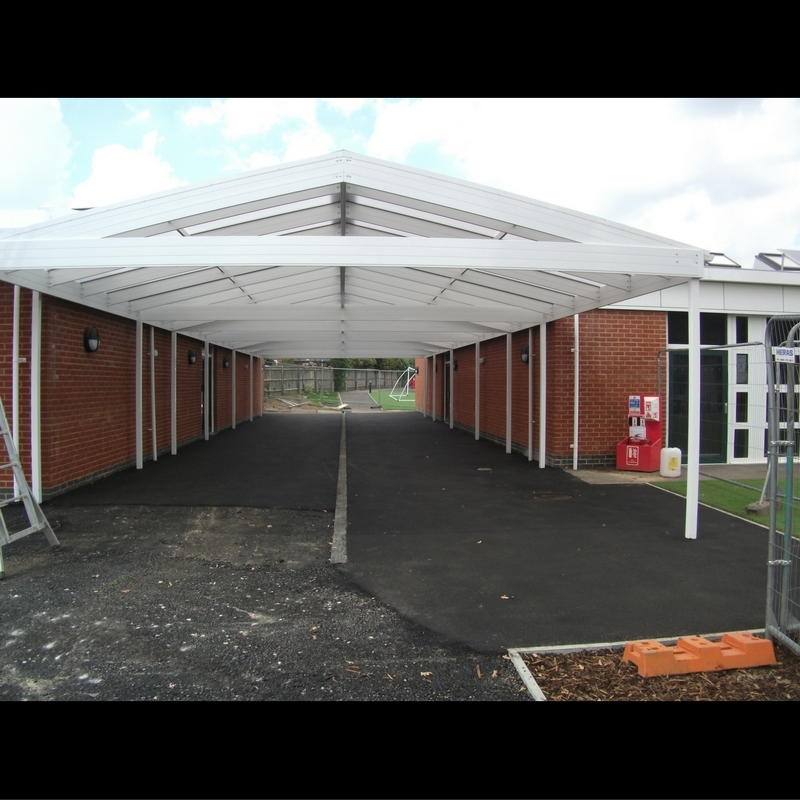 The project was completed safely and successfully and the canopies look fantastic on site. 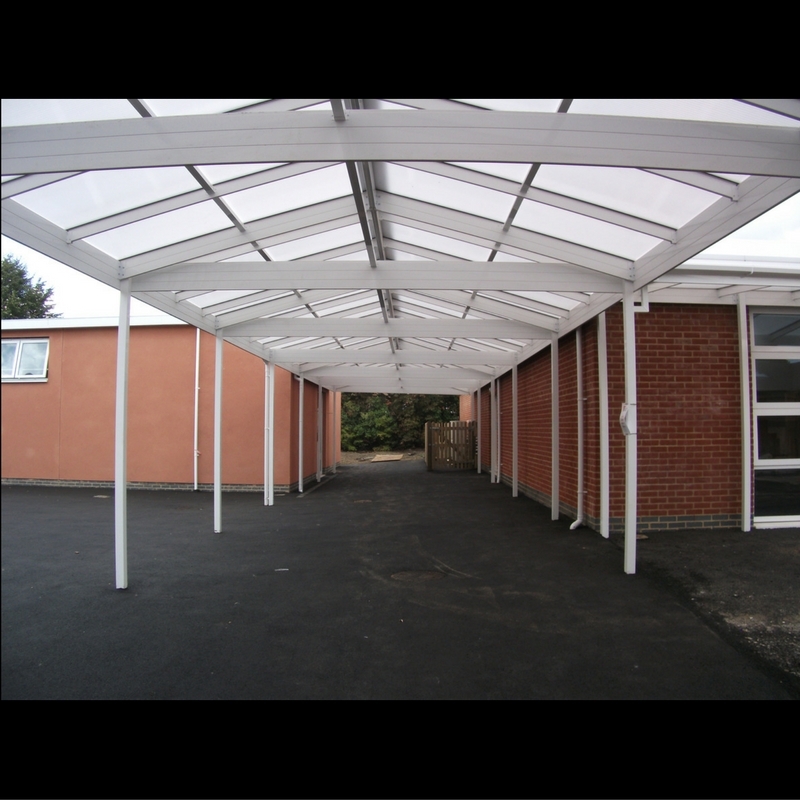 Apex Canopies are used to provide stunning Outdoor Learning Areas to fit the profiles of existing buildings. . .